The spring has come, and with the thaw of imaginary snow here in Brussels the political activities of the Members of the European Parliament are picking up speed. Especially since we are all eagerly counting down the time until the elections in May. Under the European Parliament Rules of Procedures, MEPs have a right to pose questions to the EU institutions. And ask they do! In the month of February MEPs asked altogether a whopping 1262 questions and as is the case each month, some of the questions were more topical than others. Politicians, by the nature of their work, tend to be susceptible to trends and therefore the topics dominating questions of an international character touched upon Ukraine (e.g. 1, 2, 3, 4), trade agreements (e.g. 1, 2, 3, 4, 5), the Olympic Games in Sochi or the situation in Central Africa. MEPs were equally interested to hear the Commission’s view on the latest development as regards the EU-Swiss relations following a referendum in the latter limiting the rights of EU nationals. Immigration remains a prevalent theme even when it comes to intra-EU matters (e.g. 1, 2). Furthermore, a noticeable number of questions were also dedicated to floods (e.g. 1, 2) or missing translation of the Erasmus+ programme. And now more specifically, we bring you the selection of the best of the best that was asked on your behalf by Members of the European Parliament in February. Italian MEP Crescenzio Rivellini (EPP) delves into a matter which is not very clear nor comprehensible to those without a degree in law or European public affairs. Legal talk in which he phrased the question makes matters even more complicated. His question refers to a preliminary ruling as undertaken by the Italian Houses of Parliament. can the Commission state whether, when any question concerning the interpretation of EU law referred for a preliminary ruling is raised, the offices fulfilling judicial roles within the Italian Houses of Parliament are required to bring the matter before the Court of Justice of the European Union, pursuant to Article 267(3) TFEU? I have been contacted by a constituent who is seeking medical compensation following dental work which he underwent in Braunschweig, Germany. My constituent tells me that he is currently undergoing corrective dental treatment in London. He has been informed that the German dentist performed implant dental work without following standard dental procedures. My constituent has been advised to seek compensation. My constituent tells me that he has been sending letters and emails to the German dentist since August 2013 but has not yet received any response. He also sent a complaint form, the consent forms and other documentation to the Zahnärztekammer Niedersachsen dental association in Braunschweig in early November 2013 to ask if they could follow up his correspondence with the German dentist. My constituent received a reply from the Zahnärztekammer Niedersachsen saying that the German dentist had rejected my constituent’s allegations and that the arbitration committee is not able to assist him. Given that my constituent is undergoing remedial dental treatment following this implant dental work in Germany, could the Commission confirm whether or not my constituent is eligible to seek compensation under EU law? If so, how can my constituent request this compensation? Issues concerning voting rights tend be rather controversial for national governments. Nevertheless they need to be addressed if discrimination occurs. A question by MEP Roberta Metsola points out that countries should allow their citizens to vote in their own countries, even if they no longer reside permanently there. The Commission has called on Malta and four other countries to stop disenfranchising citizens by not allowing them to vote unless they reside permanently in their home countries. Does the Commission have information on the systems available in the other Member States for citizens who do not reside permanently in their home countries? According to MEP Philip Claeys, Commission President Barroso should pay just as much attention to left-wing, Euro-federal, Islamist and climate change extremism as he does to the current rise of right-wing extremism. Indeed, there is nothing more dangerous than saving the planet from overheating. 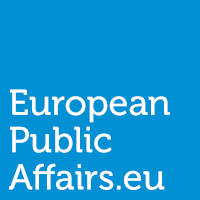 On 17 March, the Bundeszentrale für Politische Bildung (Federal Agency for Civic Education) is organising a conference on the theme ‘Europa auf der Kippe? Rechtspopulismus und Rechtsextremismus im Vorfeld der Europawahlen’ (Europe hanging in the balance? Right-wing populism and right-wing extremism in the run-up to the European elections). It has been announced that Commission President Barroso will be among the speakers. He is apparently expected to give the keynote speech, although on 14 February this had evidently yet to be confirmed. Does the Commission President intend to go to the conference and give a speech there? Is not a Commission President expected to exercise a certain restraint when it comes to participating in activities directed against a particular political ideology? As the Commission President has time to take part in such events, is he also available to attend conferences, for example, on left-wing extremism, Euro-federalist extremism, Islamist extremism and climate change extremism? If not, why not? Is the Commission supporting this conference financially or in any other way? If so, how much support is it providing? And Commission President take two; it would appear that José Manuel Barroso’s appearance on the BBC’s Andrew Marr show stirred some controversy over the issue of Scotland’s independence. MEP Iñaki Irazabalbeitia Fernández wonders on what provision of the EU Treaties does the Commission President base his position in order to threaten citizens of the Union. In statements to the British public television broadcaster (BBC) the President of the Commission, Mr. Durão Barroso, has said that the adhesion of Scotland to the EU, in the event that it voted for independence, would be ‘extremely difficult, if not impossible’. On what provision of the EU Treaties and other legislation does Mr. Durão Barroso base his position in order to threaten current citizens of the Union, who wish to stay that way, with the loss of their citizenship? On the basis of the arguments used by Mr. Durão Barroso it would appear that the Union owes more to Member States than to the citizens who form it and their democratically expressed wishes. Does the Commission agree with this assessment? On the basis of what arguments? Christianity is still Europe’s dominant religion and although Christians by no means possess a monopoly over our morality, MEP Zbigniew Ziobro believes that Christian values are under attack – namely from groups promoting gender ideology. Recently, groups promoting so-called gender ideology have commenced an offensive in Poland. These groups are openly contesting Christian values and scientific knowledge. 1. Has the European Commission allocated any funds in the new budgetary period to support organisations involved in gender issues and so-called gender ideology? What funds does this support originate from? 2. What organisations in Poland are receiving European Commission support regarding the study and promotion of gender ideology? 3. Please provide a breakdown of funds by Member States. PreviousGermany’s energy transformation 2.0: On track to become a legislative reality?